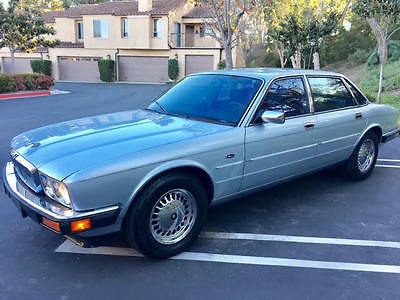 98 Jaguar xj8 109K miles. Carnival Red Mica, Lots of extras. sun roof, Radio, CD player, Great tires (only 4k), engine in good condition. Has had some body work done (Rust in some areas). The transmission has an issue, will not shift out of 3rd gear. I was told it could be something simple or it may need a rebuild. 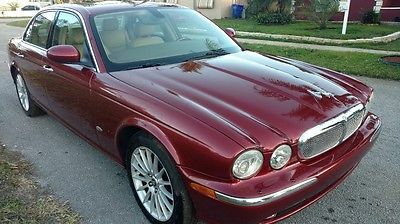 Jaguar - 2003 X Type 2.5 - 40k Miles - Original Owner - $6,250 Excellent Condition Inside and Outside, All Wheel Drive, Rear Sensors, Sun Roof, Light Gray with Tan Interior. It's a Beautiful Car. For more information and to set up an appointment to see the car call John - Phone: 847-452-5445 (No Texts) The car is in Lake Forest, IL. and photo's are available. 1983 Jaguar XJ6 Jaguar V8 SBC AWESOME Jaguar XJ6 V8 Hot Rod Restomod Classic Sleeper Excellent TRADE ? EXPORT, NO PROBLEM... 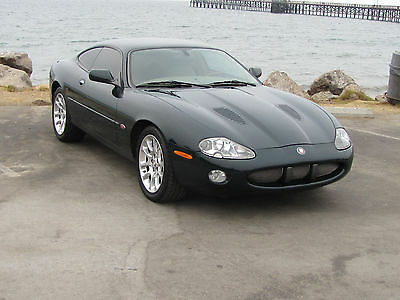 This is a Super COOL, Jag XJ6 in extremely nice, low mile condition. 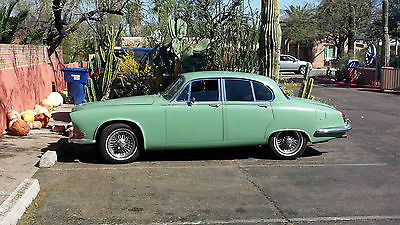 This classic Jag has original miles with approximately 20K on the drivetrain swap. The car was converted by the original owner to a small block chevy V8 and turbo trans in 1996 with approximately 100Kmiles on the clock... shows 121K currently. Total sleeper and professionally built and the work is meticulous... looks, runs and drives factory. Factory exhaust... it's quiet and smooth.... I'd actually prefer a bit more rumble lol. Amazingly well preserved and loved Florida car for most of its life. Complete service history from the 80's to current. This is a perfect power train set up on a beautiful car. Excellent power off the line and will cruise 80-90 all day. It is a TOP QUALITY professional V8 conversion and it shows throughout. The car looks, runs, feels AMAZING. Definite daily driver capable... Excellent weekend cruiser or addition to any collection. It's a driver not a trailer queen but will hold its own at cruises and local shows... not much to make it a big show winner. I bought this car on the east coast and it is currently at my family's farm outside Philly. I'm in Bev Hills CA... that is why I have not addressed the minor issues mentioned below. I am listing this once as is... if it does not sell this week I will ship it to LA and address these minor things. Body is super super straight with no rust or collision damage that I can see... clean Carfax! Excellent driver quality repaint presents beautifully with only some minor blemishes. Seams and rubbers are great and the body, trim, moldings etc are well in tact and in fantastic shape.I have the center caps for the factory mag rims... has brand new tires. Interior is extremely nice as well. Power Leather Seats, Panels, Carpet, and headliner all look excellent... Gauges and electronics work properly. AC blows cool, not cold... recharge? Older window tint is getting cloudy and should be removed or redone. Gorgeous interior. Rebuilt SBC Motor starts, runs, and idles excellent...has new Holley carb and fresh tune... rebuilt trans shifts so smooth through the gears. Suspension has been gone thru and serviced...feels tight and handles excellent. Brakes stop straight and sure. FABULOUS driver. Overall this is an extremely nice little V8 Jag cruiser in fantastic original condition all around... it is well preserved and restored. Awesome weekend cruiser, potential show car, or addition to any collection. I am a collector... this is a great one for any enthusiast, collector, or anyone looking for a cool, classic rod at a great price. The car is located in Philadelphia PA... Inspections are welcome and encouraged... serious buyers can call me at 310 850 8980 but no tire kickers please. I'm open to interesting trades (in accordance with ebay guidelines) but no projects or junk please. IMPORTANT: I have tried to describe this vehicle as accurately and honestly as possible but please remember it is a used vehicle. As with any vehicle, (new or used) there may be issues that I have overlooked or am unaware of. If you are not familiar with purchasing used vehicles and or specialty vehicles or you have not purchased a vehicle using the Internet, PLEASE do your research, ask questions, make sure you are comfortable with me as a seller, the vehicle, and the process. Miles listed are on the odometer. Unless stated otherwise, I cannot verify actual miles and I am not offering a warranty so if you want one, let's discuss it and document it before the purchase is final. Otherwise there is no warranty expressed or implied. THANKS! Need 500 deposit within 48 hours of auction end and balance COD within 7 days. Shipping is buyers responsibility. Thanks! 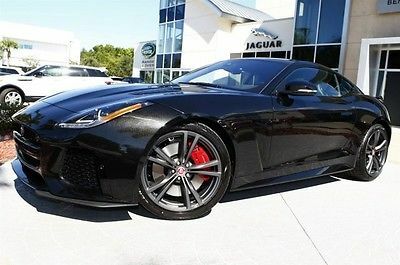 2017 Jaguar F-TYPE SVR 2017 SVR Ultimate Black Metallic 2D Coupe Transmission:8-Speed ZF Automatic with QuickShift Engine:5.0L V8 DOHC 32V Supercharged VIN:SAJWJ6J84HMK43458 Color:Ultimate Black Metallic Stock #:HMK43458 Interior:Jet/Cirrus Stitch w/Quilted Premium Leather Seating Surfaces w/SVR Logo Drive Train:AWD Interior14-Way Heated Performance-Style Front SeatsQuilted Premium Leather Seating Surfaces w/SVR LogoAir ConditioningFront Bucket SeatsFront Center ArmrestLeather Shift KnobTachometerAuto tilt-away steering wheelAutomatic temperature controlDriver door binDriver vanity mirrorFront dual zone A/CFront reading lightsGarage door transmitter: HomeLinkHeated front seatsHeated steering wheelIlluminated entryMemory seatOutside temperature displayOverhead consolePassenger vanity mirrorPower driver seatPower passenger seatPower steeringPower windowsRear window defrosterRemote keyless entrySpeed controlSteering wheel memorySteering wheel mounted audio controlsTelescoping steering wheelTilt steering wheelTrip computerAuto-dimming Rear-View mirrorElectronicRadio: Meridian 770W Audio System w/12 Speakers12 SpeakersNavigation SystemDVD-AudioMP3 decoderRadio data system Remote CD playerAM/FM radio: SiriusXMSafety4-Wheel Disc BrakesElectronic Stability ControlABS brakesBrake assistDual front impact airbagsDual front side impact airbagsEmergency communication systemFront anti-roll barLow tire pressure warningOccupant sensing airbagPanic alarmRear anti-roll barSecurity systemBlind Spot SensorExterior Parking Camera RearExteriorSpoilerAlloy wheelsAuto-dimming door mirrorsBumpers: body-colorDelay-off headlightsFully automatic headlightsHeadlight cleaningHeated door mirrorsPower door mirrorsRain sensing wipersRear fog lightsTurn signal indicator mirrorsVariably intermittent wipersHigh intensity discharge headlights: Bi-xenonAuto High-beam HeadlightsTechnicalAdaptive suspensionFour wheel independent suspensionSpeed-sensing steeringTraction control Exterior: Excellent Wheels: Excellent Interior: Excellent Naples Luxury Imports 900 TAMIAMI TRL N Naples, Florida 34102 Email Us Many of our auctions are ended early by using the Buy It Now on eBay, or because we will end the auction and sell to the highest bidder on eBay based upon receiving a reasonable offer. Do not miss out on this vehicle. Call us today! ***IMPORTANT NOTICE*** We do not issue Second Chance offers for our auctions!!! If you have received a Second Chance offer regarding one of our auctions, it is not from us!!!! BEWARE!!!!!! Please contact eBay Safe Harbor Immediately!!! We highly recommend that all transactions between a purchaser and our dealership take place within eBay live auction formats. Elegant, comfortable, quiet, and fast, in very good condition. Some very small heat checks in the paint on the front hood, invisible from 5'. Recent service and maintenance by local Jaguar repair shop, tires in good condition with lots of tread, wheels are perfect, no curb rash. Leather interior is as new. Garaged and only driven on weekends. 2006 Jaguar XJ8 - light left rear damageSalvage/rebuildable titleAutomatic, 4.2L V8 Leather seats, sunroof, all power 106,699 milesRuns & drives greatMSRP: $9,900Our price: $5,500 We can offer Domestic and International shipping arrangements. For additional info, please call or text 954-326-1089or email info@plcars.com Florida residents are subject to sales taxWe have new cars every week. You can also request one. 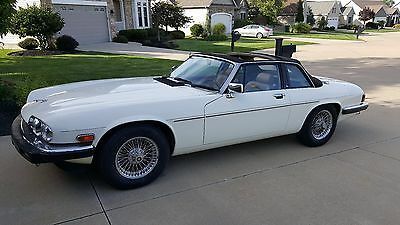 1994 Jaguar XJS Convertible 1994 Jaguar XJS Convertible One Owner Low Miles Garage Kept Showroom Condition! 1991 Jaguar XJ6 CLASSIC 1991 JAGUAR XJ6 w/55K ORIGINAL MILES!! *PRICE JUST REDUCED!! 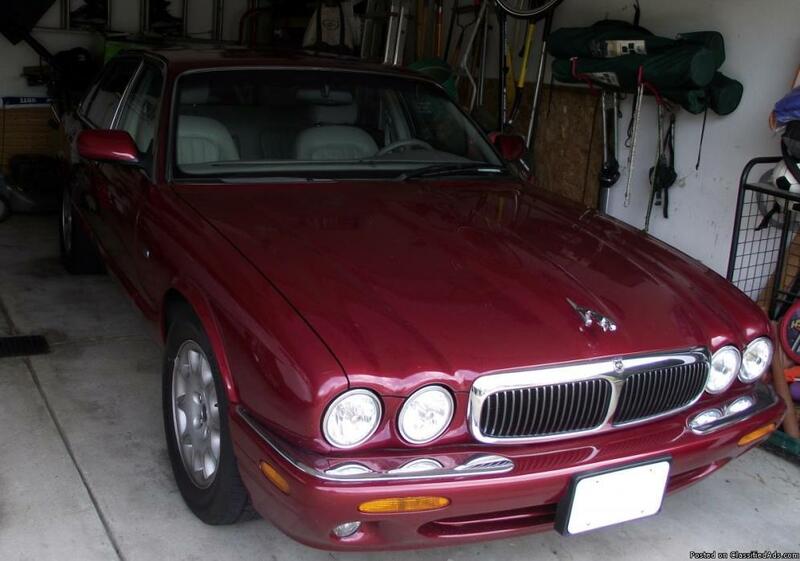 *1991 Jaguar XJ6 4.0L sedan with 55,859 ORIGINAL MILES!! NO accidents! Clean CARFAX! Clean Title! Original Paint! CALIFORNIA 2 owner CAR! This Jaguar is GORGEOUS! Sold new right here in Newport Beach in 1991 (famous Newport Imports) to 1st owner. 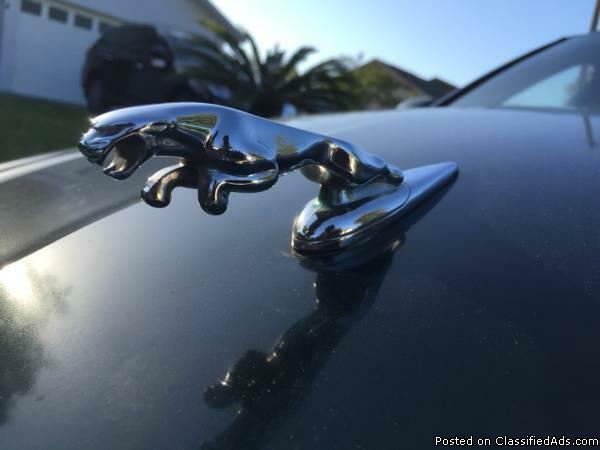 Lovingly cared for for past 18 years by 2nd owner, ME, a Jaguar enthusiast here in Newport Beach, California. Color is Silver Frost over Isis Blue leather. 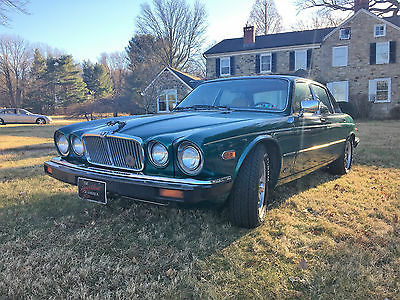 All original books, owners manuals, 3 keys, remotes, original dealer sales letter from Newport Imports, original Jaguar brochure and color chart, & original touch up paint too! I also have a beautiful complete Jaguar chrome tool kit, as well as a green Jaguar umbrella to finish it off! Garage kept from day one. Paint, leather, wood veneers, all in excellent condition esp, given its year. 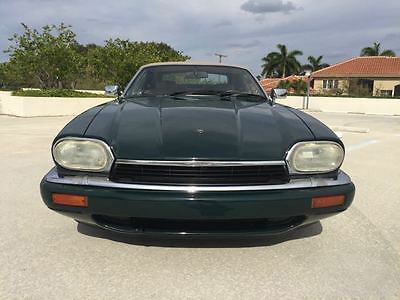 NICEST XJ40 for sale in the US! Fully serviced with new plugs, new wires, new distributor, fresh oil service, new steering rack, new struts, and tires in great condition. Will need a few TLC items + a couple small mechanical repairs to make it absolutely perfect (it is 25 years old after all). This has been my baby and I frankly hate to see it go but, I lost a garage spot recently and unfortunately can't keep her anymore. Looking for a great new home! Feel free to ask any questions. 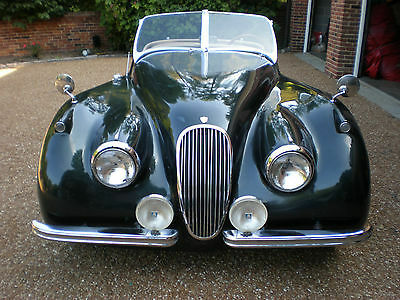 *forget Kelly Blue Book value - does NOT apply to this classic Jaguar. (see NADA instead). I have many more photos and video's I can send to you. PLEASE don't waste my or your time with low ball offers!